February 20, 2018, 7:00 P.M. Featuring a Live Appearance by Apemania! 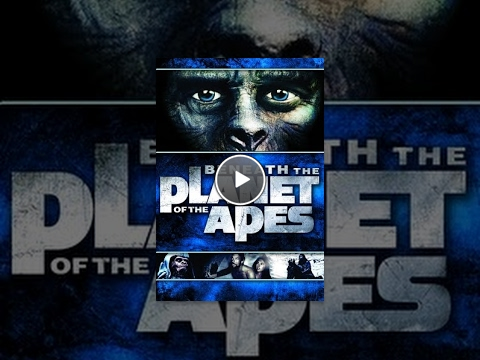 Planet of the Apes Characters! 10 Minute Intermission Between Films. Directed by Ted Post. Screenplay by Paul Dehn and Mort Abrahams. Produced by Arthur P. Jacobs. 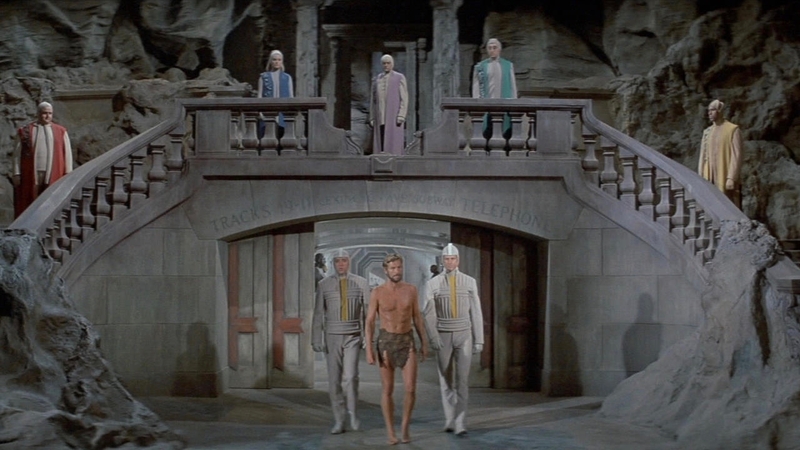 Starring James Franciscus, Kim Hunter, Maurice Evans, Linda Harrison, and Charlton Heston. Provided courtesy of 20th Century Fox. Rated G. Running time: 94 minutes. 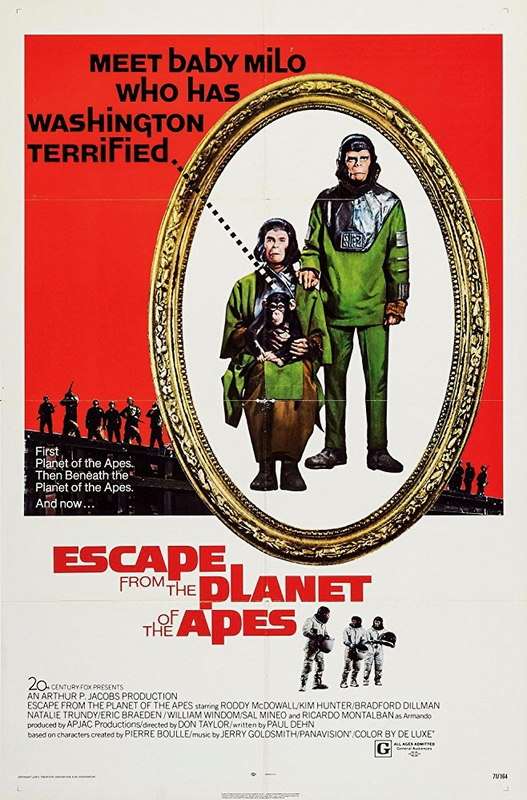 Roddy McDowall and Kim Hunter reprise their roles from the original Planet of the Apes in this third chapter of the Apes saga. 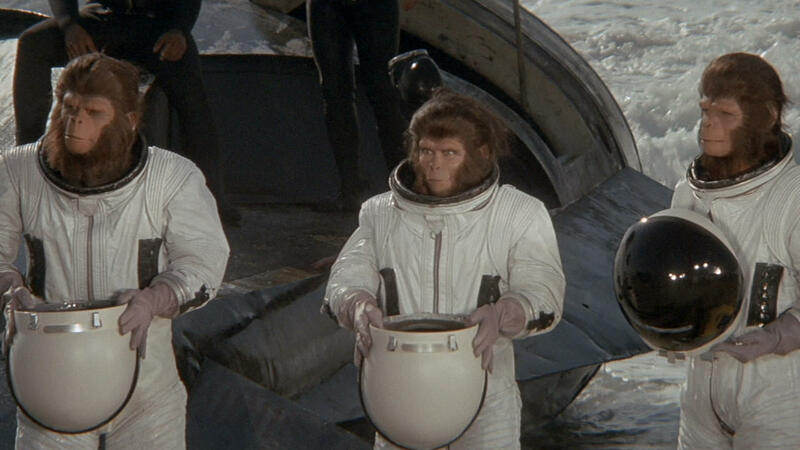 Two intelligent simians from the future, Cornelius (McDowall) and Zira (Hunter) travel to present-day Earth. They become instant sensations, wined and dined and treated like celebrities - until a high-level plot forces them to run for their lives! Directed by Don Taylor. Screenplay by Paul Dehn. Produced by Arthur P. Jacobs. Starring Roddy McDowall, Bradford Dillman, Natalie Trundy, and Eric Braeden. Provided courtesy of 20th Century Fox. Rated G. Running time: 97 minutes. 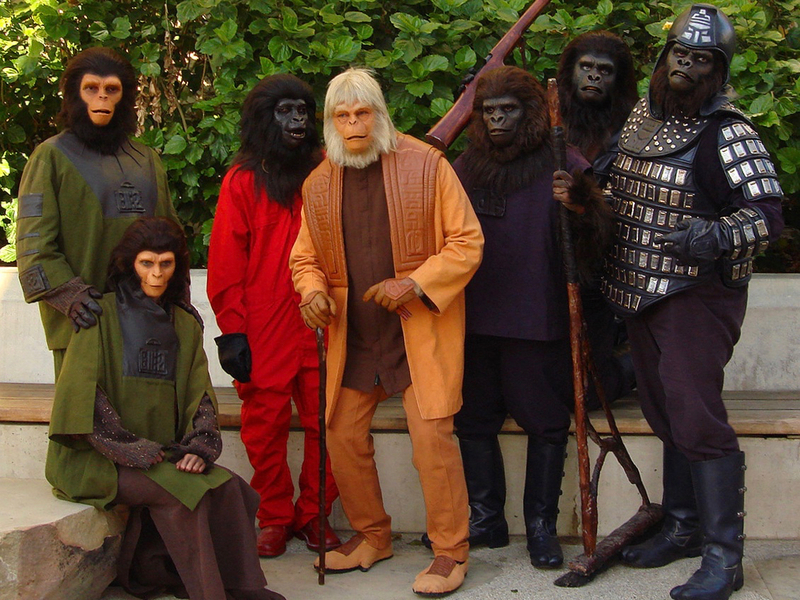 APEMANIA is a re-enactment/parody/impersonation troupe made up of Hollywood actors and industry make-up, wardrobe, and specialty effects artists, put together by award winning make-up artist Brian Penikas. 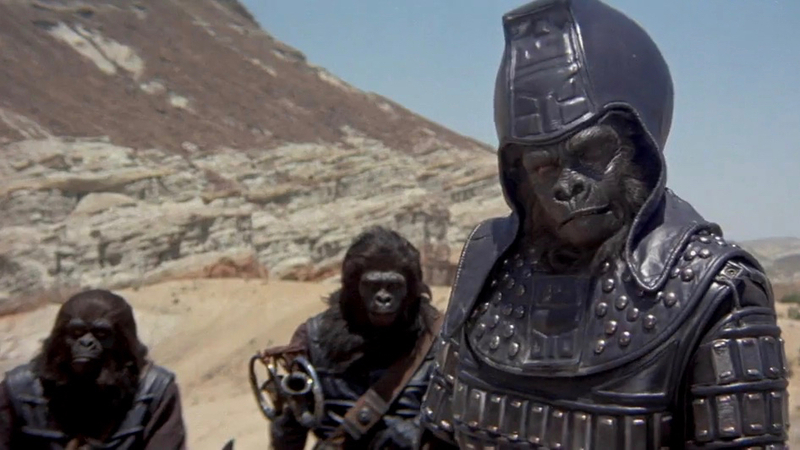 Penikas was so inspired by the Planet of the Apes saga when he was a boy, that he became a make-up artist because of it's influence. 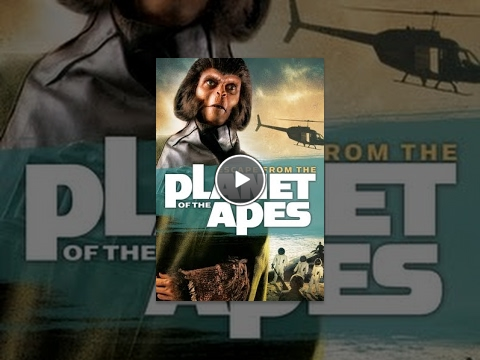 During their high school years, Brian and his friends used to "dress up" as the apes all the time for fun. 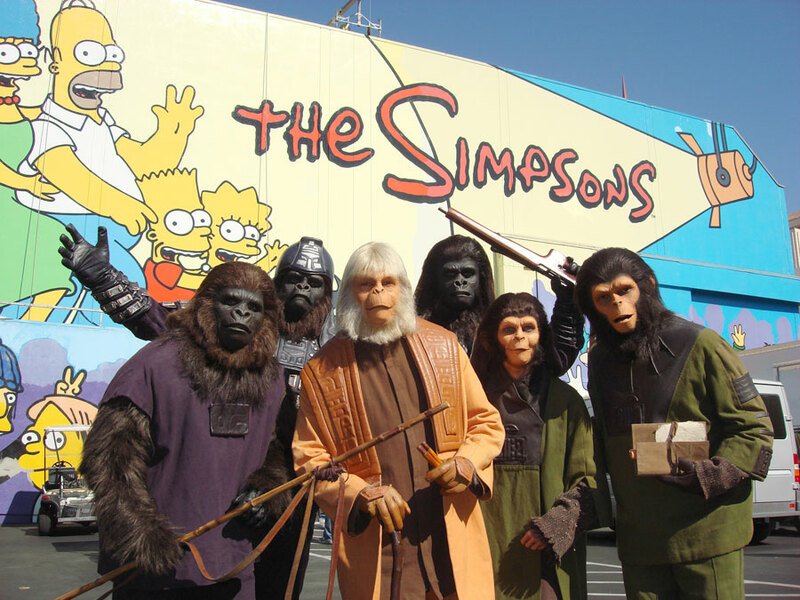 Now, some 40+ years later, they are still at it helping 20th Century Fox promote the classic Apes franchise, in some instances internationally, by making live, movie, and tv Ape-earances, recreating the characters from the films. 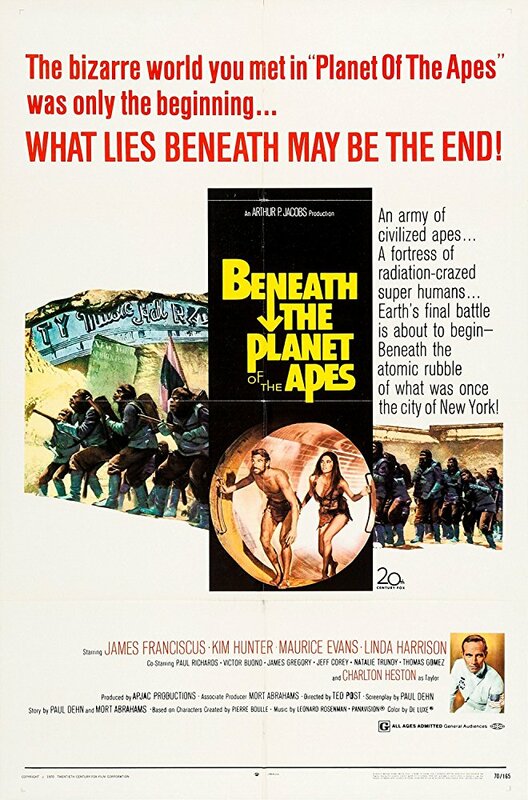 Penikas says in regards to the Apes public Ape-pearances™, "It’s amazing how much people love the Planet of the Apes characters. When we first started doing the bit again back in ‘96, I was concerned about frightening older people and young children. Monsters scared the poop out of me as a kid, but I guess times have really changed! Even the littlest kids are fascinated with the characters. And as far as the seniors are concerned, they were the ones buying tickets to see the films when they first came out, so they love us too!" Penikas scratches his head in bewilderment, "We were (and ARE) doing this just for fun! To be silly and have a good time, while paying deep respect to the iconic franchise. Who would have thought that people would eat this up as much as they do? We sure never expected anything like this way back at the beginning. It sure has been a great and fun filled couple of decades. I am truly blessed to have participated with original cast and crew members at certain events and reunions. To have been able to give a little something back to the people responsible for influencing my life and career with what they did 50 years ago has been the biggest reward of all." 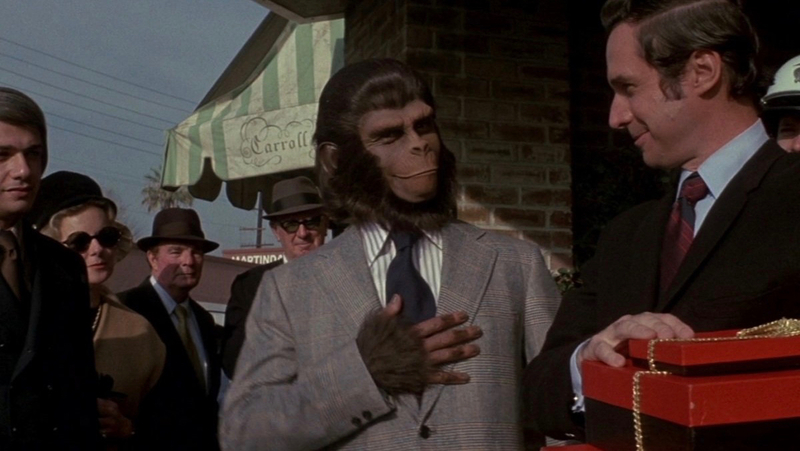 "To all the people who created Planet of the Apes, 'Apemania' is my small way of saying ‘thank you’ and of keeping the memory of Planet of the Apes alive for all of today’s generations to enjoy!" A vast collection of props, costumes, photos, posters and artwork from across all iterations of the longstanding franchise will be on display in the Hugh Hefner Exhibition Hall at USC this spring. The exhibit will be available to visit as a work-in-progress from January 26th - February 8th and all final displays will be open from February 9th through May 13th, 2018. A series of panels and screenings will complement the exhibit, including all feature films from the Planet of the Apes universe. 50 Years of Planet of the Apes is funded by USC Visions & Voices: The Arts and Humanities Initiative, and is free and open to the public. The Hugh Hefner Exhibition Hall is located in the lobby of the George Lucas Building at the USC School of Cinematic Arts Complex, 900 W. 34th Street, Los Angeles, CA 90007, and will be open Monday through Friday from 8:00 A.M. - 10:00 P.M., and Saturday & Sunday from 12:00 P.M. - 8:00 P.M. Produced by Alessandro Ago for the USC School of Cinematic Arts, in collaboration with Sandra Garcia-Myers, and Chris Castelonia for 20th Century Fox Film. For more information about upcoming programming and events offered by USC Visions and Voices: The Arts and Humanities Initiative, please visit their website.